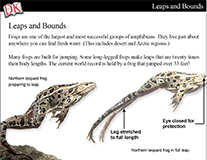 This resource is designed to be used in conjunction with the Focus on Frogs Mini-Lesson. 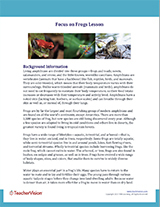 Use this resource as an introduction to or refresher for the basic concepts of frogs prior to presenting the material to students. Science, Technology, and Society: What's Wrong with Frogs?